According to a recent media article “Many early childhood centres are considering leaving the "20 hours free" scheme because of cash cuts announced in the Budget. A survey of 526 centres shows more than a quarter are looking at leaving the scheme - which allows children aged 3 to 5 20 hours of free care each week - or have decided to do so. If they do, parents will have to cover the cost of the 20 hours.” The ECE’s most seriously hit are kindies that have 100% qualified staff who face a funding cut due to the government’s policy change announced at Budget 2010. If ECEs do put up their fees and/or withdraw from the 20 hours scheme that could impact the most on low income communities who are already poorly serviced. The Budget did include an announcement of $107m for ECE for disadvantaged communities in the next year; however, it has been at the expense of the new funding formula which will save the govt an estimated $280m over four years. A PHO in the Hutt will lose an estimated $95k in its budget for free doctor’s visits from 1 July and concerns have been raised in the Dominion Post that this would mean low income people avoiding going to the doctors and ending up sicker. The Piki te Ora PHO has doctors clinics in Wainuiomata, Petone, Pomare, Naenae and on a marae in Seaview. These are exactly that places that need health resources. It’s not only unjust for the poor to bear the brunt of budget cuts but also a false economy if people end up in hospital. And for those interesting in housing James Weir provides a description of the latest trends including a finding that buyers are opting for smaller houses, and CHAI provides a summary of an Australian report on how best to manage housing as a public asset - very pertinent to NZ given the Government’s current scrutiny of Housing NZ houses. Both Lifewise (Auckland) and the NZ Coalition to End Homelessness are calling on the government to respond to growing levels of homelessness. On a positive note Habitat for Humanity is to receive Housing Innovation Fund money. The latest Not for Profit (NFP) Remuneration Survey from strategic remuneration and performance management company, Strategic Pay, shows that the Not For Profit sector has been hit hard by the recession. No surprises there. In the UK the government has announced a slashing in government spending in an attempt to address debt issues. It’s time to get worried when the budget is described as an ‘austerity package’. Changes include increasing VAT (the UK equivalent to GST) to 17.5% to 20% (with some exemptions), cuts in welfare expenditure, increases in Capital Gains Tax, public sector wage freeze (for all but the lowest paid workers), a new bank levy and raising the age of eligibility for a pension. It is clear that such sweeping cuts will cause hardship to some of the most vulnerable. While they are lowering corporate tax (to stimulate the economy) they have frozen child benefit rates for 3 years, cut tax credits for middle class families and made cuts in housing supports. New medical tests will be introduced for disability allowances which will no doubt raise the bar. Makes our budget look pretty tame in comparison. Whose responsibility is it to care? 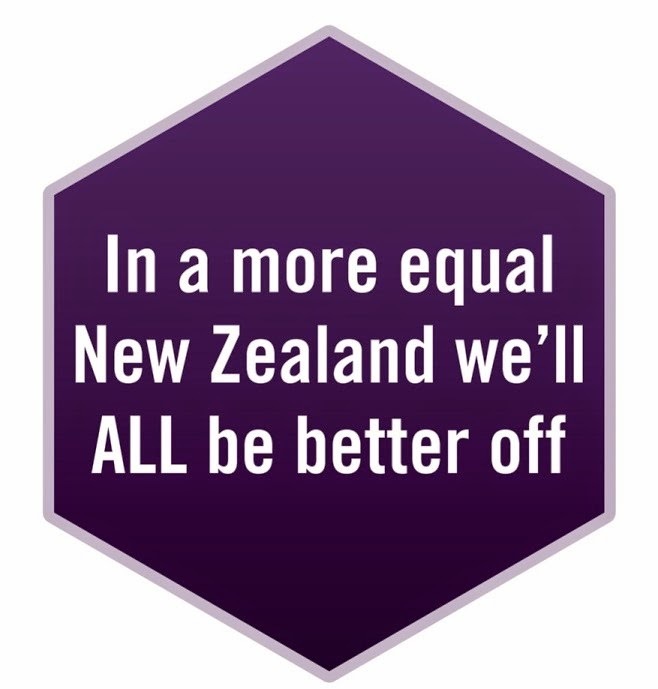 Cutting home help for the elderly - can New Zealand really not afford it, or are our senior citizens victims of false economics? This is the issue discussed by Mark Sainsbury recently on Close Up. He interviewed Gareth Morgan and former Labour MP Lesley Soper who hold diametrically opposed views. Gareth argues that the elderly are ‘squeaky wheels’ and consume a disproportionate amount of health dollars whilst less audible groups with health needs miss out – namely Maori and Pacific peoples and the young. This inequity means we should start examining prioritising and rationing health resources according to Gareth. On the other hand Lesley argues that the DHBs could make cuts in other parts of their budgets rather than picking on the most vulnerable. Gareth’s views are contained in his book Health Cheque: the truth about NZ’s health system. The trouble with this discussion is it pits the health needs of one group (older people) against those of other groups such as the young. It is unhealthy (no pun intended) for different groups to compete for most vulnerable status. NZCCSS would argue that the debate needs to be broadened to focus on equity of access based on need irrespective of age and ethnicity or other variables. As reported in previous issues of Policy Watch, Sue Kegley and Winnie Laban have joined forces and are travelling the country talking to people about their experiences of aged care. Many caregivers are struggling, to the detriment of the elderly, as explained in an article that appeared in the Manawatu Standard about one of the Age Care Tour meetings. Last week, the Government announced it is investing a further $17.4 million in Community Max programmes for Northland, Bay of Plenty, Waikato and the East Coast. Community Max is part of the government’s Job Opportunities package and offers young people a wage subsidy through Work and Income for up to six months on a community project. In a press release NZCCSS Acting President Ruby Duncan calls for an expansion of Community Max into all communities with high youth unemployment. Given the disproportionate impact of unemployment on young people any extension of programmes such as Community Max are to be welcomed. It appears that ACC, an organisation described by the Government as ‘in crisis’ is all set to make a $2b surplus this year. Mr Parker, Labour's ACC spokesman, has said that "Given the minister's acknowledgment that ACC is in good shape, the Government should halt its privatisation plans." Unfortunately this message is likely to fall on deaf ears, not only because Ministers don’t listen to the opposition, but also because they are committed to the full funding model. In effect this means, that record surpluses would need to be maintained for the next nine years to have sufficient reserves under this model. NZCCSS has made it plain that we oppose the full funding model preferring the previous ‘pay as you go’ approach (the basis on which the government funds virtually everything else) and we are concerned that the pressure put on ACC to reduce costs is reducing the effectiveness of the scheme in providing rehabilitation. More claims are being denied and weekly compensation payments have decreased from 14,500 to 13,500 in the last 12 months. Minister Bennett appeared before the Social Services Select Committee recently and reported a 119% rise in notifications to CYF between 2005 and 2009. There were 110,000 notifications in 2009 compared to 40% in 2005. She attributed this rise to better reporting and changes in Police practice. At the same meeting the committee was told that a under two year old was admitted to hospital every week in NZ due to abuse, a third of whom had been shaken. And on the issue of child abuse, congrats need to go to Maori TV for the recent two part screening of Tamariki Ora: a New Beginning. Kim Workman, who appeared in one of the panel discussions, has described the programme as a ‘defining moment for Maori’. A Families Commission Blue Skies Fund report on food security recently released found that economic factors were the main cause of people struggling to provide sufficient nutritious food for their families. The report used a Family Food Environment Survey of 136 NZ families with at least one child aged between 5 and 18 years. Unsurprisingly those most at risk of ‘food insecurity’ (policy speak for worrying about food and sometimes going hungry) were low income households (defined as an after tax income of less than $30k), families whose main income was derived from a main benefit and single parent households. Why we need research to tell us what we already know is beyond me. One of the more interesting findings was that “low income groups did not differ from others in terms of behaviour such as budgeting for food, planning and eating meals as a family”. As mentioned in their conclusion, this finding is important because it ‘counters negative assumptions’ and it means that solutions for low income groups need to be based on improving incomes rather than increasing skills and training in food preparation and nutrition’. Good stuff. Where they come unstuck is in the reports carefully worded recommendation that ‘to enhance food security, relaxation of economic constraints in these households needs to occur’. The issue is poverty; we all know it, so just say it and focus on what could usefully be done about it. The Prime Minister has asked his Chief Science Advisor, Professor Sir Peter Gluckman, to report on practicable actions that could improve the transition through adolescence for New Zealand’s young people. An interim report has recently been released with a final report expected by the end of 2010. Some of the findings in the interim report suggest that significant investment is needed to assist the 20% of under 18 year olds who as some stage are affected by a depressive disorder. Currently three quarters of young people get no treatment. There is also a shortage of mental health services specifically for adolescents and alcohol and drug addiction services. Programmes to prevent child maltreatment are also being explored. The section on Maori was disappointing brief in the interim report but hopefully will be more substantive in final report. Social service agencies having been telling government about these service gaps for years. Perhaps if the information comes via Prof Gluckman’s team of researchers the government will actually respond. 7:45 pm guest speaker, St Columba Centre,40 Vermont St Ponsonby, Auckland. Plenty of parking is available on site. For further information contact Julie Timmins, CPAG Administrator admin@cpag.org.nz or (09) 303-9260.